Bender UK Rail Signalling Protection System was a recent finalist in the In-Cumbria Business Awards for Best Innovation 2017. 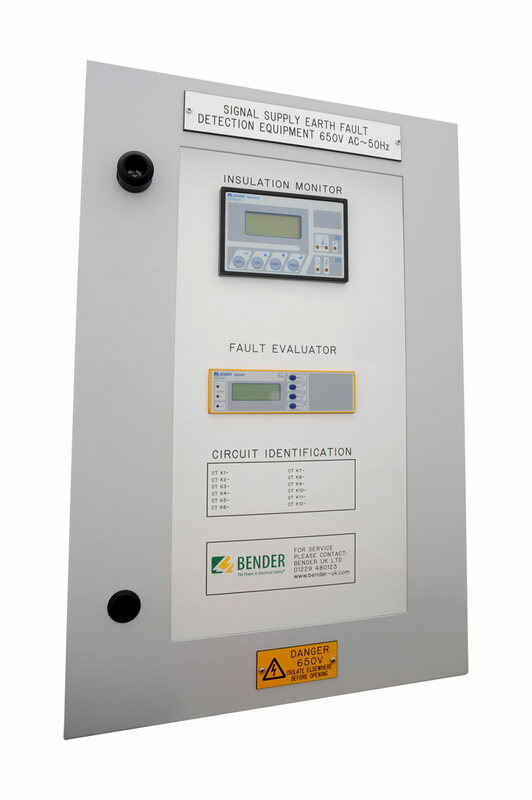 Bender UK has produced a Network Rail approved rail signalling protection system which enables maintenance crews to quickly identify electrical faults on the UK’s rail infrastructure. The rail signalling protection system known as the RS3 and its most recent upgraded version the RS4, was a finalist in the 2017 In-Cumbria Business Awards for the Best Innovation. Bender collaborated with Network Rail to develop the solution which continually monitors and reports on the health of the electrical infrastructure, immediately notifying operators of any developing faults via GSM communication. It is the only certified system to meet the necessary regulatory requirements and more than 1,000 devices are installed on the UK’s rail network. The integrity of the electrical supply to rail signalling systems is of vital importance to safeguard passengers and staff, and to ensure that the rail network operates efficiently and trains meet their schedules. The thousands of miles of trackside cabling are susceptible to damage caused rodents, vandalism, theft, or normal wear and tear in arduous conditions. The equipment has proved to be a vital tool for safeguarding rail transport, enabling efficient fault-finding and predictive maintenance, to minimise disruption and aid the smooth running of UK’s rail services.